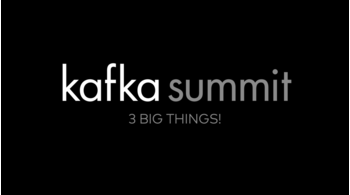 But hey, here we are, just under three months out from the third annual marquee Apache Kafka® community event. 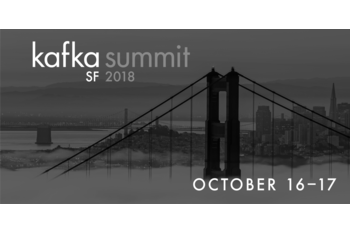 Kidding aside, Kafka Summit has established itself as the premier streaming systems event for people like you: developers, DevOps people, software architects, and anyone else who builds things with Kafka. 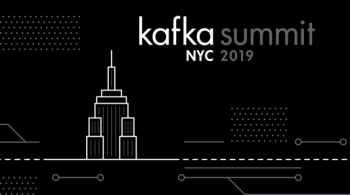 Happily, people talk about Kafka in lots of different venues, but this is the place for the community to rally around our next-generation plans, share experiences, and plot the future of streaming technologies. Because Kafka has become an increasingly strategic platform, it has also attracted the attention of business leaders. To help welcome this new constituency, we are rolling out a new track at the 2018 summit: The Business Case. 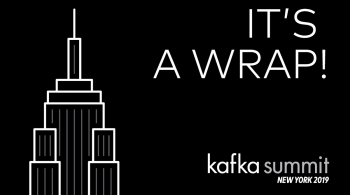 The Kafka Summit Program Committee just finished sorting through more than 250 excellent submissions and sent out formal acceptance emails last week. We’ll be publishing the full agenda (50+ sessions) soon, so keep an eye on the website or sign up for updates, and we’ll let you know as soon as the deed is done. The full speaker list will be posted soon. Oh, hey one more thing: early bird pricing ends Aug. 1! “Oh, that’s August; I have plenty of time,” you think, but you and I both know that’s essentially tomorrow. Register now to save $200 off the standard conference pass. I look forward to seeing you at the summit! Greetings Tim! We’re excited to talk about life as a stream of events, and while I share your expense reporting habits, going there is well worth the paper work! Come one, come all! 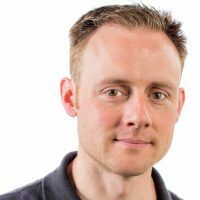 Maybe someone from finance will attend and be inspired to stream all the events necessary to make the expense report a part of the past? See you in San Fransisco!